Family is important and that's no surprise. Another thing that's no surprise? One of the best ways to make memories with your family is to have family portraits taken each year. Hanging these photographs on the wall is a great way to see how your family changes over the years, with new additions, children growing up, and even pets included. We offer you extensive family portrait services with a personal touch. It's the Gretchen Adams touch that makes us so great at what we do. Before you head to any studio, check their qualifications. If they have a portfolio, take a look and see if the photographs match your expectations for your own family pictures. Gretchen Adams Photography has an extensive portfolio, so you can see our experience with family portraits. It surely speaks for itself. Deciding how you want your photos to look can be one of the biggest challenges, but we make sure that we take the time during our personal design consultation to really get to know your family's style so we can design a session that will truly reflect YOU. Remember that your photos will be displayed in your home, and you might even send them to family and friends. You want to make sure it shows the essence of your family and that it’s something you will be proud to show off. We work closely with our clients to make sure that all the details, from outfits to location, have been expertly planned out. Speaking of location...that is another big consideration! Many big photography studios only offer in-studio shots, which will use a colored backdop. However, you may decide on a more natural aesthetic with us. We're more than happy to travel for photo shoots, including to your own home, the beach, or a park. This can be a convenient time to have your portrait done and spend some time together, especially if you're doing a family portrait that involves family members who don’t live together. Everyone can meet up at a special place, which will make taking the actual picture more memorable and a less stressful experience for everyone. If your family includes some four-legged friends, a photographer who travels—that's us!—can be useful. Some of the bigger studios don't allow for the inclusion of pets. A photographer who is willing to travel can meet you on location and include your four-legged family member in the photo. We're happy to travel to accommodate your furry little friend. Because we are animal lovers ourselves, we know exactly what items to have on hand to make sure we get the perfect shot and our time together is a blast for your pets as well! Gretchen Adams Photography offers convenient family photography for people living in Walnut Creek or Pleasant Hill, as well as the East Bay area. As a small boutique studio, we'll travel to your desired location to provide you and your family with truly stunning results. High school is one of the most memorable stages of life, and it can be bittersweet to leave this stage behind. Capture the memory of your senior year with high school senior portraits. Whether you decide to display it proudly or keep it safe in a photo album, these pictures can evoke fond memories as you move on to the next stage, whether it’s college, a career, or traveling. While you may get a yearbook photo taken by your school’s photographer, you'll probably want a more personal touch. Small studios are able to focus on you so that you are represented in the best possible way. At Gretchen Adams Photography, we can take your photo whether it’s for your yearbook or for a memento. Instead of relying on the typical solid background, we'll have a bit of fun with some travel so that you can get your photograph taken at your school, outdoors, or even at your home. All the details will be considered so that you will look your best in your high school senior portrait. One of the best things about working with a smaller studio like us is the ability to take your time to get the perfect shot. In a typical school photography shoot, you are rushed and this shows in the final result. At the school, you are also typically limited to headshots, with no flexibility in poses. With Gretchen Adams Photography, you’ll have the time to try out different poses and the fun of different photo touches and lighting. Full body shots are really big, too, so be sure to consider those as one of your potential options. The hard part comes when you have to select the ones you like best, but don't worry, we actually make that a snap with our private in-person preview appointments. We're here to help guide you towards the very best images and the best ways to package them together. Although every family is unique in their portrait needs, most of our clients decide on one of our gorgeous folio box collections so they can have a set of beautifully matted prints with matching digital files. If you find yourself in the SF bay area, consider consulting Gretchen Adams Photography to learn more about our senior portraits. Instead of waiting to see if you get a photograph you like from a typical school photography session, know that you’ll get excellent results you can be proud of by working with our studio. High school senior portraits are a long-standing tradition—a tradition that represents a step taken toward the adult world. This milestone deserves to be marked, and for many decades now, senior students have been getting their own personal photographs to help mark this milestone. The trick to getting that absolutely spot-on high school senior portraits is to be sure that the personality and character of the student shows through. Many times, shooting on location is the best way to do this. On location shooting helps reflect the interests, habits and loves of the student while still ensuring quality photos. Whether the senior wants good head shots or wants pictures on the hood of their classic car, a high-quality photographer can ensure that the final results are more than worth the effort. We know that you and your high school seniors are in the midst and chaos of one of the busiest times of the new adult's life, so Gretchen Adams Photography does everything within our power to snap a great shot with minimal fuss. What this means is that it's up to you to contact us and set up a time when we can begin this fun process. We'll all plan the shoot from the top of A to the bottom of Z, coordinating locations, poses, looks—all of it. That's one of the incredibly enjoyable parts, we've found, for everyone involved. Students who've spent their high school lives playing a sport or instrument might like to don their letterman jackets, poms, or use their saxophones and violins as props. Some students really like to be photographed doing a certain activity, like drawing or playing with a pet. Others really enjoy straight on, face-forward headshots. Either way, it's important that you, at the end of the day, be happy with the final product. To all you seniors out there, these photographs are an important part of senior year, and are the pictures that parents will send out to family and friends and with graduation announcements as well. To that end, it's pretty crucial that you get the very best photographs possible. Many times these headshots are the treasured mementos of this time of life and are those that will be kept for many years to come. If the student is looking for a photographer who can generate something creative or of a certain quality for them, we at Gretchen Adams Photography, in combination with the student, can work together until that quest for awesome senior portraits is realized. Headshots have become a unique marketing tool in online and print advertising. Although this type of photography was once primarily considered to be the kingdom of models and actors, many business professionals are finding that clients consider it very comforting to know who they're doing business with. These professional pictures give your prospective customers an insight not only into your services but also into your personality, as a lot of information is conveyed by just seeing your facial expression and stance. Although we don't always note it consciously, we make judgments about people from impressions that can last as short as 100 milliseconds. These quickly formed opinions are a combination of your upbringing, environment, and also the way the brain fires off messages. What’s important to remember here, is that the brain registers certain features and expressions in order to evoke an emotional response. From an artistic standpoint, we refer to this as "aesthetic." From the standard perspective, it's simply the way you achieve a greater openness and sense of empathy from your clients. Subtle aspects, such as how deeply your mouth is turned upwards or how widely your eyes are open, will evoke different emotions from the people you're trying to reach. At Gretchen Adams Photography, we can help you achieve professional headshots that will really speak to your audience. Not only can we take flattering pictures to promote you and your business, but we can also guide you when it comes to achieving your most honest expressions. We understand that simply smiling isn't always the answer to attracting new people. Another aspect that your customers will tap into very quickly is how real a visual appears. Although headshots are posed, our trick is that they are naturally posed. We often take a series of shots so nothing in the photo seems strained or forced. Your forehead, neck, and jaw line are all places where this concentration is most obvious, but when you have your photographs taken in a relaxed environment, you let go of that stress and let the real you shine through. A frequent problem that people have when they try to take their own headshots is when it comes to understanding that a static picture can still have flow. You may notice that do-it-yourself photographs can sometimes look like a moment frozen in time, rather than an instant that has simply been candidly captured on film. A photo that "flows" will give you the impression that there is activity happening both before and after that picture. Your clients will interpret that impression as a result of your personality showing through the picture. From there, trust is built. If you'd like your customers to get a real sense of the relaxed and vivacious you, then a call to Gretchen Adams Photography can do the trick. We can take your headshots at our studio, in your office, or even outdoors. This way, your professional image is also your true image. As a representative of your business, you want to convey your personality and the purpose of your work. A headshot can effectively show this to your customers. You're basically giving people a brief, but vibrant, insight into who you are and how you can help them. When that first impression is made in as short as 100 milliseconds, you want to make sure your customers get the right message. You're probably pretty familiar with the traditionally posed family portrait. You may have even tried variations on poses to make the picture appear more fun, and to convey the personality of you and your family. After all, you want this to be something you can share with other. You want them to get a sense of how vibrant your family is from those images. But when you attempt to take these portraits yourself, do you ever feel rigid while posing? Are you the one responsible for the auto-timer, which leaves you having to rush back into position before the timer runs down? You have to admit that these shots are probably not the best representation of you and your family. Even studio portraits can be less than ideal, since this involves packing your family up and bringing them to an unfamiliar environment. Whether you're keeping these images to chronicle the growth of your children over the years, or sending pictures as gifts to your loved ones who aren’t nearby, you really want to be able to capture the essence of your family life. The ideal family portrait, then, should project a natural comfort that truly shows the joy and bonds of all the members in your household. You know how lively, comedic and loving your family is. You want others to know that too. At Gretchen Adams Photography, we like to step away from the classic studio image for family portraits. We realize that they don’t always capture the real interaction between family members, and even in a still shot, the dynamic that you all share is what really makes the portrait shine. You’ll find that you can get a more satisfying result when we're able to come to your home for a series of shots in a space that's natural for your family. We can take pictures indoors, in your backyard, or even at an outdoor location that your whole family loves and adores. Taking pictures in a space where you feel comfortable will let everyone’s personality and exuberance show. We also understand that a studio can be difficult if you have younger children. When we bring all the equipment to you, it lets you be at ease. This makes the whole photography session a good experience for everyone in the family. Stress is an emotion that isn’t easily hidden in pictures. Your self-portraits of the family and studio outings can generate a lot of what we like to call "performance tension." While we at Gretchen Adams photography pride ourselves for having an eye for balance within the image, we also do our best to coach you and put you at ease. Our ability to guide and comfort you and your family is part of what allows us to capture a memorable and honest shot. Basically, we're not only balancing the physical composition of your family portrait, but also balancing your personalities within the portrait. You may also have loved pets who are seen as members of your family. Studio portraits totally exclude your pups and kitty friends from the picture. 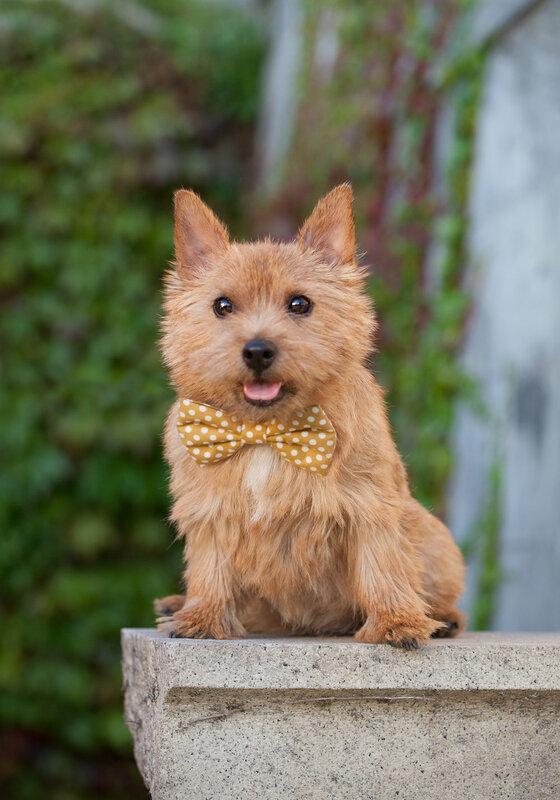 When you contact Gretchen Adams Photography, you’ll find that we have extensive experience in making sure that everyone in the household, four-legged or otherwise, gets their time in the spotlight. If you want your next family portrait to be a fun experience with stunning results, contact us today for an in-home photography session. We can help you not only capture the essence of your family, but also the fullness of the love that you share. Whether you're looking forward or looking back—high school senior portraits are the pretty much the definition of tangible memories. They're an awesome way to remember what sort of things you spent your high school career doing as well as, perhaps, what you'll be doing as you move forward. You want your high school portraits to stand out, seniors. Here's why. First and foremost, your parents will likely send these portraits out to friends and family. And those friends and family are going to want to hang those photographs around their homes and offices. You know what that means—lots of eyes getting a glimpse of your photos. Having your portraits taken with us here at Gretchen Adams Photography means you're signing up for quality portraits taken with your wants in mind. Another reason? These images also get sent out with your graduation announcements. Grandparents across the country, aunts and uncles, distant cousins—they're all likely to receive these photos with the announcement of your commencement. So, let's do this right. Let's do something a little different this year. Let's shake things up. We'll work together to figure out what looks, locations, and poses work for you. Parents. We've got some news for you too. Your graduating senior has got a style all their own and it's likely they've got a few ideas in mind for their senior portraits as well. With us here at Gretchen Adams Photography, we can capture a few stunning shots on location or in a studio. Either way, the portraits will be something both you and your teen can love. Our goal is to make these portraits into lasting memories. They've got the potential to capture the essence of the things your teen loves most—sports, nature or even just a few great pieces of clothing—and showcase their hopes for the future. After all, for some of us, those things do include the things we were doing in high school. Senior portraits done with us have just what's needed to make those images standout from all the rest. Unique is just what we do. We also make sure that the individual portraits stand apart from each other. You might be wondering, "Well, how's that?" We do this by getting your senior to relax and show of their unique personalities. Sometimes all it takes is a bit of conversation and a smile to bring out that spark. The personality that your seniors are growing into is an important thing to encourage. Naturally, you want them to achieve future success and further development, so why not support those goals with fabulous portraits? Half the fun is planning the portrait session. Parents, think back to your high school careers. What were your interests? Some of us were sports lovers, some of us were math lovers, others were band and cheer enthusiasts. Some of us might have even been a complex combination of all those things. If that's your senior, then half out battle's already taken care of. Gretchen Adams Photography specializes in not only capturing the perfect shot, but also keying the photographs to the person in front of the camera too. We'll do everything we can to make sure the session is 3 things: stress-free, fun, and a perfect depiction of the graduating senior to-be. Contacting us at Gretchen Adams Photography can get you started with planning an exciting senior portrait day.